Role on board: I was co-opted as an Associate Governor in January 2019. A co-opted Governor is someone from the local community who brings specific skills and experience to the Governing Body. I am the link Governor for Safeguarding. Background: I completed 28 years as a Police Officer in Hertfordshire Constabulary, leaving in 2015 to pursue a career as a teacher. I worked in various roles in uniform, starting in Hemel Hempstead, Berkhamsted and Tring, before moving to St Albans. One of my most enjoyable roles was working as a Community Sergeant where I ran a team delivering local policing in London Colney. The role involved working with various agencies in order to solve local issues. I have had experience dealing with children and families with many different issues which I am able to bring to my link role. Since leaving the Police I have qualified as a teacher, working in various Secondary Schools in Herts and Bucks as a Science Teacher. I now work at a unit in Bucks delivering home tutoring to children who are not attending school for medical reasons. 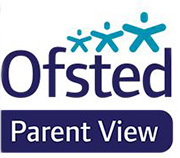 I have 2 children aged 16 and 12 who attend Tring School and were previously at Grove Road School in Tring. While they were in Primary School, I was a member of Friends of Grove, the school association and also volunteered within the school with a range of events such as reorganising the school library, helping on trips and activities within the school, and reading with pupils. These experiences and my recent role as a teacher have made me determined to help children achieve their full potential and enjoy their time at Primary School. I believe Bridgewater provides a range of excellent opportunities, and I am pleased to be able to help support the whole team: staff, pupils, school association and Governors, in continuing to deliver this. I was co-opted as an Associate Governor in January 2019. A co-opted Governor is someone from the local community who brings specific skills and experience to the Governing Body. I am the link Governor for Safeguarding. I completed 28 years as a Police Officer in Hertfordshire Constabulary, leaving in 2015 to pursue a career as a teacher. I worked in various roles in uniform, starting in Hemel Hempstead, Berkhamsted and Tring, before moving to St Albans. One of my most enjoyable roles was working as a Community Sergeant where I ran a team delivering local policing in London Colney. The role involved working with various agencies in order to solve local issues. I have had experience dealing with children and families with many different issues which I am able to bring to my link role. Interest in being a governor: I have 2 children aged 16 and 12 who attend Tring School and were previously at Grove Road School in Tring. While they were in Primary School, I was a member of Friends of Grove, the school association and also volunteered within the school with a range of events such as reorganising the school library, helping on trips and activities within the school, and reading with pupils. These experiences and my recent role as a teacher have made me determined to help children achieve their full potential and enjoy their time at Primary School. I believe Bridgewater provides a range of excellent opportunities, and I am pleased to be able to help support the whole team: staff, pupils, school association and Governors, in continuing to deliver this.